Secondary Glazing Fittings with Secondary Glazing Panels are a low cost solution with a fast means of immediately reducing your heat loss through your existing glazing. Secondary Glazing Fittings secure the secondary glazing panel to your existing window frame or window reveal to provide a draught-proof seal. Smartframe provides a frame around the glazing panel and is fitted onto your exist window frame. It can be used with 2mm or 4mm thick glazing.Smartframe is a uPVC profile. Smartfix is an aluminium frame that is secured onto the existing window frame with toggles. Smartfix can be used with 4mm or 6mm thick glazing. OM25 is a 2-piece magnetic tape/steel tape solution. The tapes are supplied in rolls. It can be used with 2mm and 4mm thick glazing. 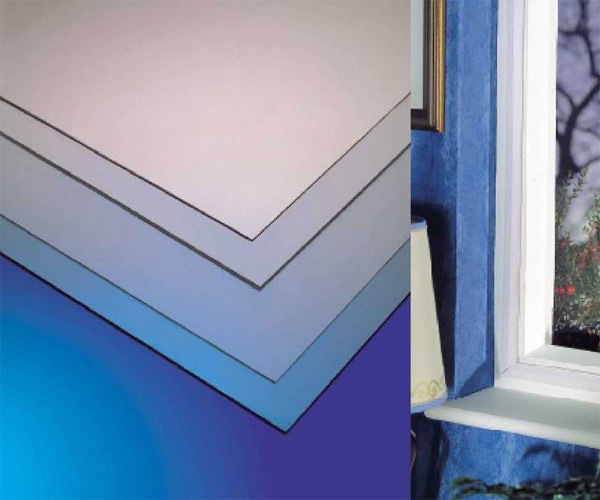 Easyfix comprises plastic edging for the glazing panel and clips that are screwed into the existing window frame. OM26 is a framed magnetic strip. The frame is uPVC. OM26 is supplied in standard lengths. Trackglaze consists of lengths of uPVC profile that are used with the glazing material to provide an opening horizontal sliding secondary glazing unit. Secondary Glazing Fittings are guaranteed for 10 years. All Secondary Glazing Fittings are supplied with simple, step-by-step installation guides. See our secondary glazing main category for more products. Secondary Glazing Fittings - Omega Build supply a range of roofing components such as Secondary Glazing Fittings, diy conservatory roof kits, polycarbonate roofing sheets, polycarbonate canopy kits and much more. You are currently browsing the Secondary Glazing Fittings category of our polycarbonate sheets and canopies shop. I would recommend your affordable products (Secondary Glazing Solutions | Diy Secondary Glazing Kits and Systems from Omega Build) to anyone else considering this product, as it has been superb. Omega Build Shop | Secondary Glazing Solutions | Diy Secondary Glazing Kits and Systems from Omega Build. You are viewing Secondary Glazing Solutions | Diy Secondary Glazing Kits and Systems from Omega Build, buy online today!